Life comes at you fast. Especially at Michigan International Speedway in Brooklyn. The Monster Energy NASCAR Cup Series visits the wide, sweeping corners and long straightaways of the 2-mile, D-shaped oval in the state’s scenic Irish Hills region this weekend for the 15th race of the 2018 season. Last year’s Michigan races provided the fastest two qualifying laps of the 2017 season with each pole winner’s speeds exceeding 202 mph. It’s a far cry from the 206.558 mph track record set by Jeff Gordon in August 2014, but it’s still fast. Bowyer arrives at Michigan after a good run but disappointing result at Pocono (Pa.) Raceway last weekend. Bowyer finished fourth and third in the race’s first two stages and appeared destined for a top-five finish. But a missed shift with five laps remaining in the race left him “sick to my stomach” with a 20th-place finish. The stage points earned Sunday, coupled with trouble encountered by competitors in the race, moved Bowyer from eighth to sixth in the standings. The No. 14 owns a victory, three top-five finishes and seven top-10s in 2018. His average start is 17.7 and average finish is 18.7 at Michigan. Bowyer showed speed at Michigan in 2017. In June, he started third and ran as high as second early in the race. He finished sixth in both Stage 1 and Stage 2. He restarted the race seventh with 15 laps remaining but visited pit lane after right-side contact with the wall. The damage relegated Bowyer to 26th. In July he finished 23rd after enduring two speeding penalties and contact with another car with 50 laps remaining in the race. 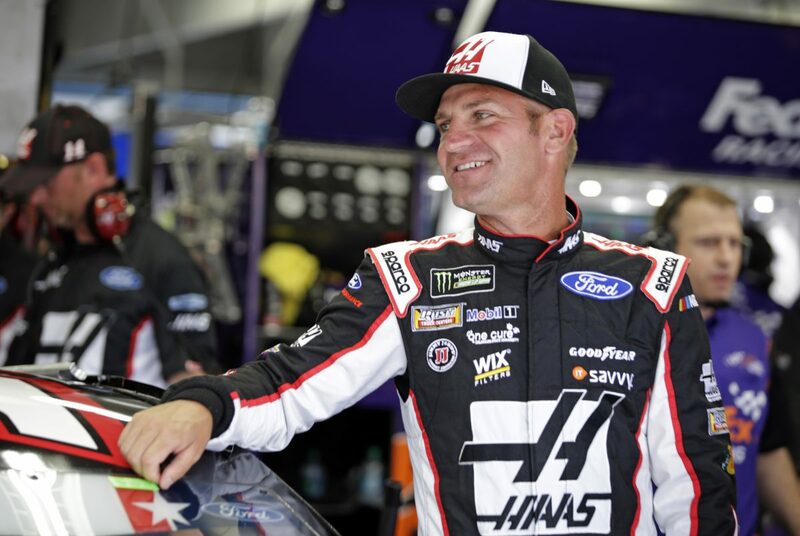 Bowyer’s average finish of 11.4 in 2018 is the second best of his career. In 2012 he averaged a 10.9 finish. His 2018 numbers would be even better were it not for accidents caused by other drivers at Talladega (Ala.) Superspeedway and Kansas Speedway in Kansas City that saw Bowyer’s good runs end early. SHR drivers own one points-paying victory at Michigan – Kurt Busch in June 2015 – and 10 top-fives and 18 top-10s in 54 starts. The organization arrives at Michigan as strong as ever. In 2018 SHR cars have won six points-paying Cup Series races – five for Kevin Harvick and one for Bowyer – and the non-points NASCAR All-Star Race, and have earned three poles and led 1,427 of the season’s 4,462 laps. An SHR Ford has led approximately one-third of all laps in 2018. SHR drivers are high in the standings, as well. Harvick is second, Bowyer sixth, Busch seventh and Aric Almirola 11th. What is the key to victory at Michigan? What is the key to your 2018 success? “A fast hot rod goes a long way in this sport. We’ve been running up front, we have to stay there and get a little bit better. Improvement is always what you want. You want to just keep improving and getting better. That is really all you can ask for. I am pretty proud of us getting better. Hopefully we will keep improving as we go on.